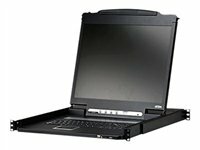 ATEN's economy LCD KVM console, CL1000M, offers a space-saving, streamlined approach to IT environments by integrating a keyboard, 17" LCD monitor, and touchpad in a 1U Slide away housing. 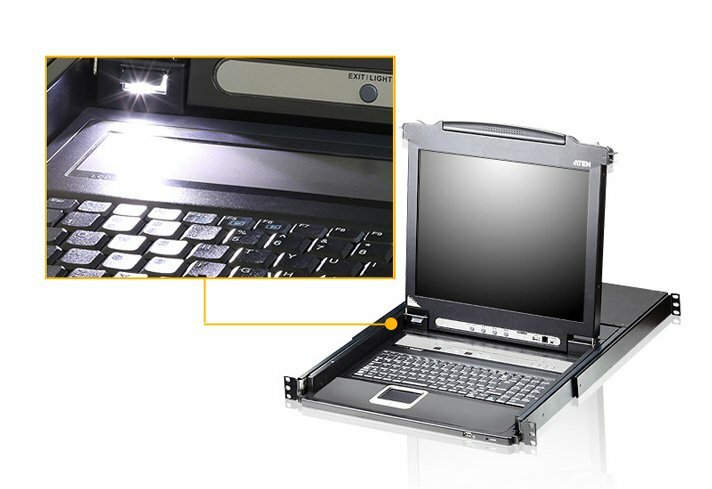 The LCD display is built into the cover; the keyboard and touchpad are built into the base. Setup is fast and easy. 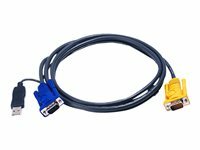 There is no software to configure, no installation routines, and no incompatibility problems. Slide the console module section out; flip the cover up; and you are ready to go to work. When finished, flip the cover down and slide the console module away back into the rack. There is no better way to save time and money than with a CL1000M installation. 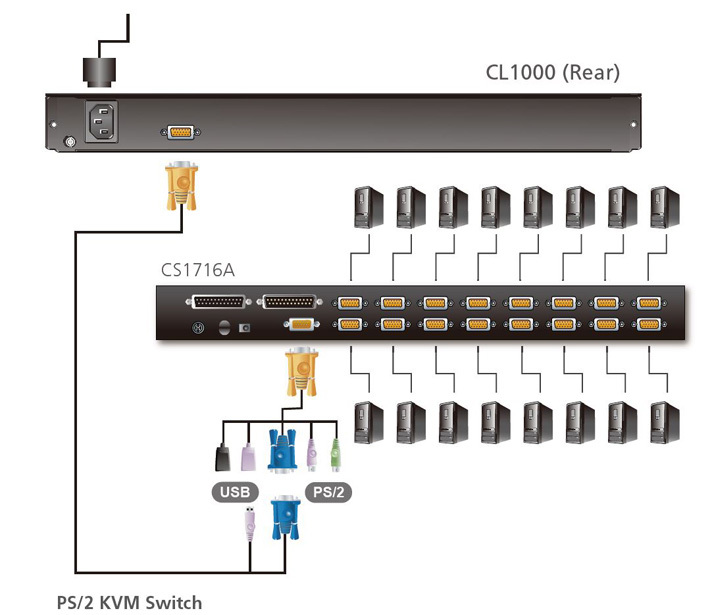 By using the CL1000M to manage your installation, you: (1) save all the space those standard components, keyboard, mouse, and monitor, would take up; (2) eliminate the expense of having to purchase a separate keyboard, monitor, and mouse for each computer if attaching to a KVM switch; (3) take advantage of upgrading your current system, since CL1000M is compatible with all types of KVM switches; (4) save time for installation. 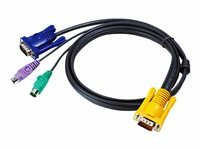 Just connect the cable between CL1000M and a KVM or a computer, and the CL1000M is ready to serve you.